Blowout Sale! 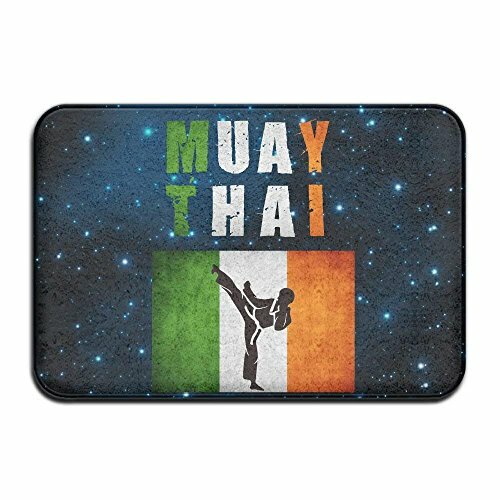 Save 68% on the MECIKR Doormat Soft Non Slip Muay Thai Irland Bath Mat Coral Fleece Area Rug Entrance Rug Floor Mats by MECIKR at Thai City Deals. Hurry! Limited time offer. Offer valid only while supplies last. Are you tired of plain entrance door mats with dull, boring designs? Do you want to make your home or store front door more welcoming to your guests? Rug Easy to Clean, Durable travel thailand landmarks thai vector icons vacations poster Rug for Kitchens W39" x H20"
Printed floor mat silver lacquer show flower art balance global crafts thai artists place for Home and Office W34" x H21"
Machine-Washable Large Bathroom Mat rice plants grain thai jasmine rice in wood bowl isolated Non-To x ic Non-Slip Reversible Waterproof W34" x H21"
Non-Slip Bottom Street food Thai Barbecue grilled chicken for Bathrooms or Offices W22" x H12"
Stain Resistant Rug Aura Thai Temple Ornamental Motive Spiritual Bathroom Non-Toxic, Non-Slip W30"xH18"
Printed floor mat traditional thai line art paint for Home and Office W34" x H21"